Poems from various times. They were written both in my home in Lancashire and in Epirus, near the current Greek/Albanian border. They develop notions of the spirit and latent beauty of a place – how locations develop associations and resonances which outlive the simple links with the organisms inhabiting them at any given time. 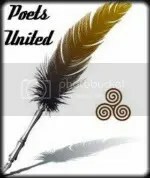 Many of the poems draw on the ancient mystery religions for their source with rites, cycles, journeys and ciphers providing much of the imagery. You’ll find the poems on the “The Garden” tab up above.